LG G5's modularity is the highlight of the company's G5 flagship but is actually more to it. 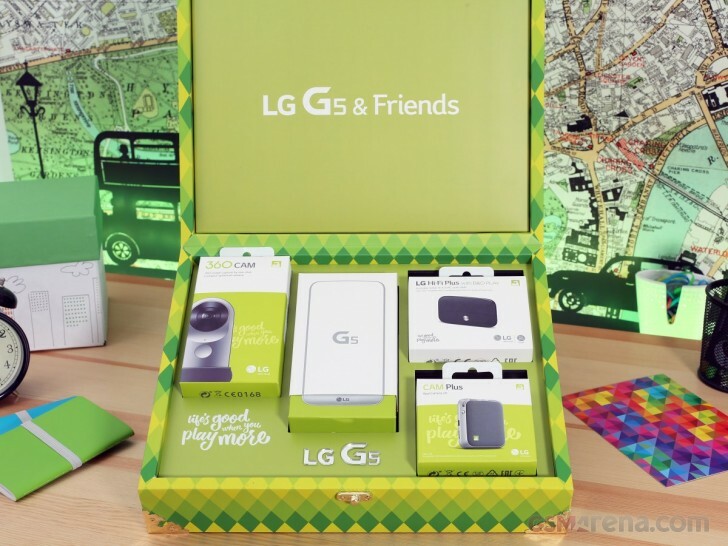 The LG G5 has a few accessories, called LG Friends, which will make your experience complete. They were announced alongside the G5 in Barcelona and were meant to really complete the user experience. With mid-range smartphones offering more and more polished experience, many companies have turned to accessories to serve as a differentiator of their top dogs and LG hopes to deliver the most interesting lineup there. It offers an entire series of exclusive gadgets, dubbed Friends, which we've listed below. LG Cam Plus - an official G5 module designed for better grip, and with additional camera controls. It also adds extra battery juice to increase the total to 4,000 mAh. LG Hi-Fi Plus with B&O Play - the second official G5 extension that adds a 32-bit Hi-Fi DAC and Amp. It could also work as a standalone DAC and Amp with other devices. LG 360 Cam - a 360-degree portable camera with dual 13MP 200-degree sensors and 1280p video recording. LG 360 VR - a VR headset with integrated display. It requires a compatible device for streaming content. LG Rolling Bot - it's a 20cm in diameter round robot, with a camera, speaker, mic, some LEDs that moves around your house. 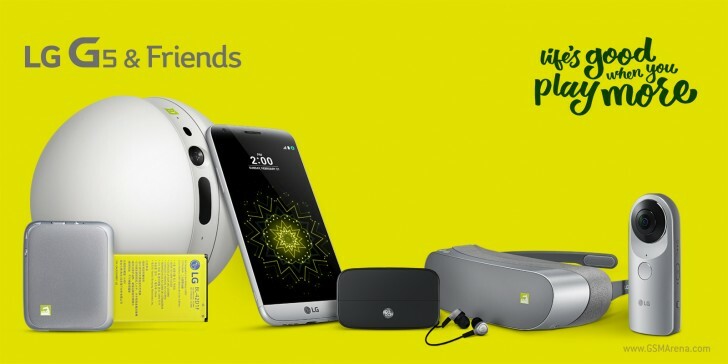 There are a few nice options that you may want to connect to the LG G5 right from the beginning, while third-party G5 modules should be coming later this year as well. That said the success of the whole thing largely depends on how successful LG is in committing 3rd party makers to the concept, which in turn will certainly depend on the initial market success of the G5. LG was kind enough to send us some of the Friends, while we saw others at the MWC expo so we have the full picture for you. We'll start dissecting the lineup of modules on the next page. for those who love accessories, this will suit your interest... hehehe such a pleasure of having plenty of toys to play on and to play with... alright!